Even by Festival standards, Cheltenham 2019 ran roughshod through the whole range of emotions. Against the backdrop of equine flu, prize-money cuts and boycotts the last thing that was needed was the furore which surrounded the closing stages of the National Hunt Chase on Tuesday. As racing threatened to pull itself to pieces, a strong looking RSA Chase on the Wednesday began to turn the tide. Altior, Tiger Roll and favourites galore further steadied the ship before surely one of the most uplifting race days in Festival history when the Thursday, usually the lowest profile of all the four days, produced an afternoon that showcased everything the sport had to offer. From great displays of horsemanship to inclusivity and fairy tales, every box seemed to be ticked, especially in the golden hour of Frodon and Bryony Frost followed by Paisley Park, Andrew Gemmell and Emma Lavelle. All involved displayed the raw joy and passion as well as communicating it in such vivid, engaging and self-deprecating fashion. Yet as Racing rejoiced in the unfamiliar spotlight of front-page coverage and national news headlines, it was brought crashing back to the reality with the catastrophic injury to Sir Erec whose placid demeanour whilst being reshod in the full glare of the cameras prior to the start had no doubt endeared him to thousands irrespective of any financial interest. It cast a pall over Gold Cup day which was tough to shake even allowing for the much deserved first success in the race for Willie Mullins, a terrific win for Kielan Woods and Ben Case courtesy of veteran Croco Bay and a success in the Foxhunters from true point to point connections. The Festival fallout and how it is handled will be crucial as the sport wrestles with striking the right balance between competition on one hand and public perception of welfare on the other. On the competition side, the disgust voiced by AP McCoy on the decision to ban Derek Lavery, rider of the third placed Jerrysback in the National Hunt Chase for not pulling up. Clearly one would expect AP to be right at the far end of the competitiveness spectrum, his unstinting determination to win the very foundation of his great career, but his disdain for the decision was a clear indicator in his mind that carry on down this path and the sport would become so sanitised as to be rendered meaningless . On the other side, the BHA were entitled to feel let down by events on the first day. Seemingly rattled by the recent debate in Parliament they had gone to great lengths to remind participants in the National Hunt through the Amateur Jockeys Association of their responsibilities in ensuring they did not continue if it was against the best interests of their horses. In an imperfect storm of a decent gallop on rain softened ground, the resulting spectacle was uncomfortable viewing for even seasoned professionals and the lengthy bans that resulted reflected the stewards feeling that the riders involved had not acted in the best interests of either their mounts or the sport as a whole. At this stage, however, it is highly debatable whether the rest of the industry shares the same level of concern as the BHA. Instead they feel that, to continue Ted Walsh’s analogy of ‘If you don’t like racing, go watch Peppa Pig’, that the BHA are constantly acting like Mr Bull and ‘digging up the road’ and instead there should be a line in the sand drawn from which the underlying strategy needs to be education not capitulation. The sad events of Sir Erec show that there will always be risk, however many attempts are made to minimise it, and the BHA must be careful not to sign up to a level of fatalities that cannot be reasonably achieved without putting the whole of National Hunt Racing at risk. Against that the sport needs to respect the fact that the BHA’s concern is based on their assessment of the political winds of change sweeping through government circles. 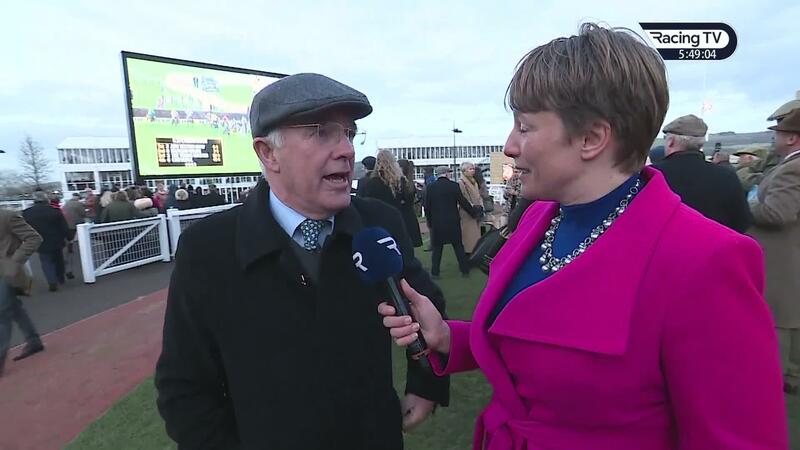 Continued failure to listen, and events in the National Hunt Chase, could make the sport appear both arrogant and out of touch, with the result that regulatory control could be taken out of their hands going forward. Making any appeal by Laverty a test of strength between the two sides would almost certainly be counter-productive and just entrench positions. What is needed now is dialogue from both sides. The BHA needs to understand the concerns that they are not consulting or listening to those involved directly with the horses who are insulted by the inference that welfare is not at their heart. It needs to spend more time in the short term agreeing a stance in which the sport can be confident in not just defending but actively educating from. The debates in both the House of Commons, and on Talksport on Friday evening after Cheltenham, show how many ignorances are still pedalled as truths and how far from reality some perceptions remain. Therein lies the opportunity to ensure debate and regulation can be achieved far more constructivly by all standing together and communicating with one clear united voice backed up by sound statistics and practices. The danger otherwise is the BHA will sign up to commitments that lack the grass roots support from those whose sport they seek to regulate. As other events in Westminster have shown recently that seldom ends well. On the tipping front, the best was saved until last with Early Doors winning the Martin Pipe having been one of the five handicappers highlighted a month ago when a 20-1 chance. It might be expecting a bit much for more of the same on Tuesday, but here goes! Showed enough on his Taunton debut to suggest he should be competitive in what looks a very shallow race. His stable remain in really good form and that Taunton form has worked out well enough with the second runner up again since and the third successful next time. Flinck really caught my eye on his debut at Exeter in December when he shaped with considerable promise before lack of an outing seemed to take its toll. The market should be made by Birds of Prey but he is amassing a string of seconds for one so talented on the level and is worth opposing again. Even at this lowly level, he could have a class advantage creeping into this handicap off the ceiling mark. Quickly switched to chasing having gained his handicap rating, he was just plodding on last time at Leicester suggesting the extra yardage here would not go amiss. Another to sneak into a race off the top mark possible, he split two previous winners in Paddy’s Poem and Le Capricieux on his chasing debut and the winner, Timiteo, won comfortably at Kempton on Saturday. Still unexposed over fences, this looks a level at which he can be competitive at.